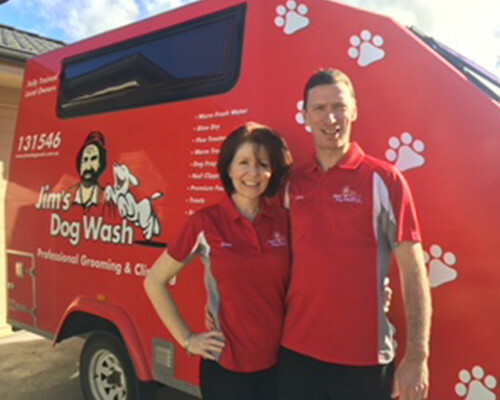 Hi, we are Mick and Gen and we are the local Jim’s Dog Wash mobile groomers in the Worrigee and Nowra areas. When it comes to spoiling your dog, you can rest assured that they are in the safest of hands at all times, our fully enclosed trailers keep your pooch warm and safe at all times and we are fully trained in all aspects of grooming, whether it’s a wash, deshed or a full style clip. To arrange a booking, please call us on 131546. Remember, a happy dog is a clean dog!! !